When a member of a group breaks away to record solo material, it’s often to simply expand the individual’s horizons a bit – if sometimes only a very small bit. In some of the better, more recent examples, the artist has something unique that just doesn’t fit into their main gig’s framework. Pearl Jam’s Eddie Vedder needed a ukulele outlet, and Natalie Maines of the Dixie Chicks displayed her amp-busting, riot girl gusto. For Ruth Moody of the Wailin’ Jennys, looking at life through Mother Nature’s gaze proved irresistible. The grand-scope of the Earth’s landscape is her canvas, and elements such as waves, wind and the moon are the individual colors residing on her most colorful palette. 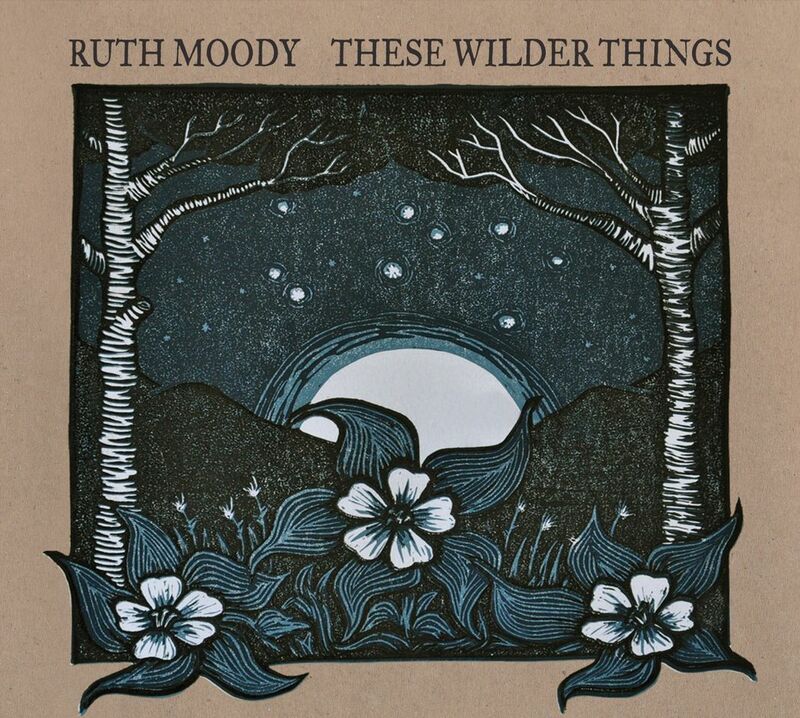 Moody, a Canadian folk-treasure, avoids the usual trappings of the solo-side project by sticking to her trusty rustic tools, albeit with an occasional piano-tune. The lovely familiarity of her solo-efforts; 2010’s The Garden and her newest release, the resplendent These Wilder Things provides a rare cohesiveness between solo-side and group main-gig. With album titles such as hers, it stands to reason that nature in various forms is represented on her work, and, similar to say, Gillian Welch, most tunes indeed have the timeless touch of organic-progression residing in them. Examinations of relationships in all of life’s stages are deftly proffered here. For a woman in and out of love, however, it’s not all doubts and pain derived from a broken partnership, but the questions about the status of a current love that give her as much to write about as a promising start or brutal end might. In “Make A Change” and the album’s most full-on Bluegrass number, “One Light Shining,” featuring Dobro-giant Jerry Douglas, Moody clings to the slightest of relational slivers. In these two songs, Moody uses wind, rain, clouds and the dawning of new days to discuss whether a relationship still has a pulse or not. Even in songs such as the title track, where a pensive piano crawls along, veering off of the usual folk-worn path, it’s Moody’s breathy and fragile vocal that lends the songs the air of a time-tested folk tune, and not a crooner’s syrupy ballad. In “One And Only,” the employ of an electric guitar brings to mind some of the rare, straight-away love songs from Moody’s fellow Canadian Kathleen Edwards. For Moody, life was too short to sit on these intense songs and wait for the Jennys to wail. She let her own nature dictate this record’s beautiful path.